Beyoncé featured French-Cuban twin sister duo Ibeyi in an Instagram post. Beyoncé just introduced all 43 million of her Instagram followers to 20-year-old French-Cuban twins Ibeyi (though we're sure more than a few of those 43 million were already hip to the Díaz sisters and their stunning debut album). Last night, B teased a short clip from a video that Vogue posted yesterday in an article announcing Beyoncé's September issue cover story. Though the original footage is set to what sounds like a warped vintage French record, the Instagram post features an excerpt from "River," Ibeyi's dedication to the goddess Oshun (and one of our Top Tracks of 2014). The FADER reports that according to a label rep, XL Recordings had no idea the video was coming. "When our friends started to send us messages, we were in the airport in Germany, going to play in Sweden, we could hardly believe it," the sisters wrote in an email to The FADER. Naomi and Lisa-Kaindé responded with a thank you note to Queen B. "You are welcome on our river," the girls wrote in an own Instagram post. 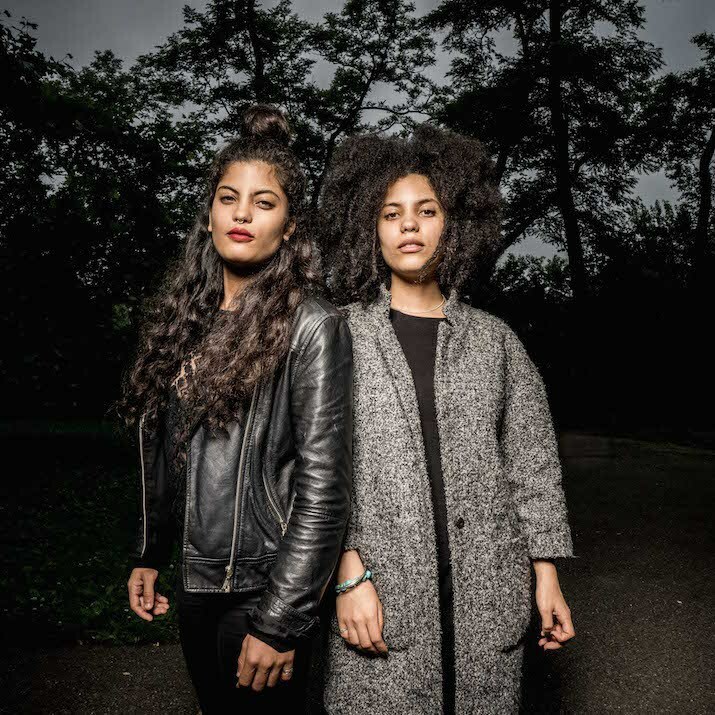 For more on Ibeyi, watch the girls' recent Okay Acoustic performance from Central Park along with two more of our favorite Okayafrica TV episodes below.